* No Desk Fees or Mandatory Marketing. 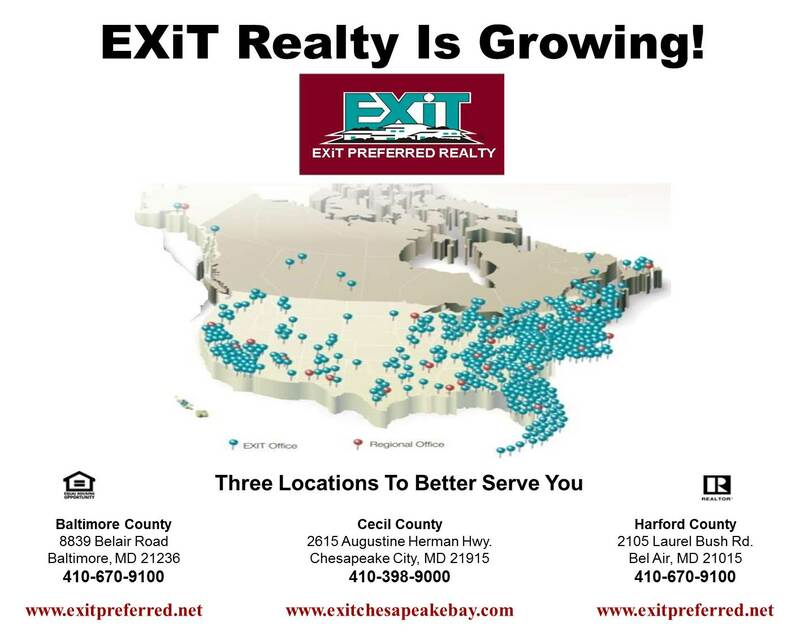 * 3 Convenient Locations...We Are Growing! * Outstanding Mentoring & Training. * Over 50 Hours a Month In Training...Free. * Trainer Available In Office. * Residuals - 10% Sponsoring Bonus has unlimited potential. * Retirement Plan - Continue To Receive 7% Of Any Sponsors You Introduced To EXIT.... Even After You Retire! * Digital Marketing Strategy That Includes Social And Mobile Media Maketing. * Top Notch Infrastructure & Technology - Wireless Computer Network, Low Cost Flyer Production, In-House Printing Capabilities, Modern Computers, And So Much More. * Great People, Active In Community Events, Participants In Habitat For Humanity Builds, and a positive office environment! Contact us by clicking here to find out how you can become one of the very best in the business!